Models with 5 cylinder petrol engine and 2.4 litre diesel engine. Not for 2.5 litre diesel engines, V6 engines, V70R, 4WD or Bi-fuel1984, 2319, 2435 and 2521 cc petrol engines. 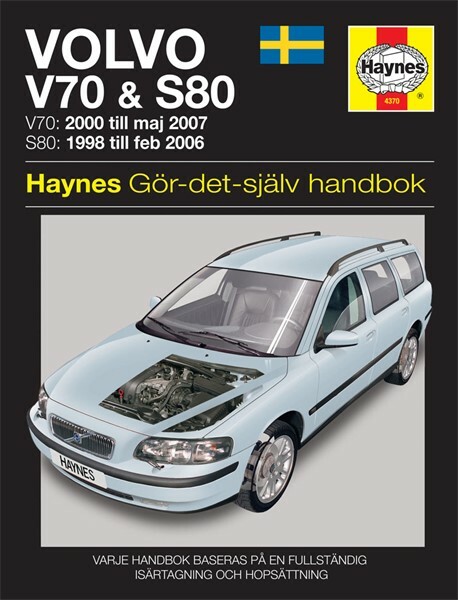 Haynes repair manuals have been used by professional mechanics and hobby mechanics for nearly 50 years. The manuals are known all over the world for their easy-to-understand text and illustrations, and are available in a number of languages. It's possible to save a lot of money servicing your car yourself so buy a copy of Haynes today!